I first discovered the 69 Javelin SST in 1997 in a local classified paper, again online in 2001 and finally on eBay in 2008 where I struck a deal with the owner. 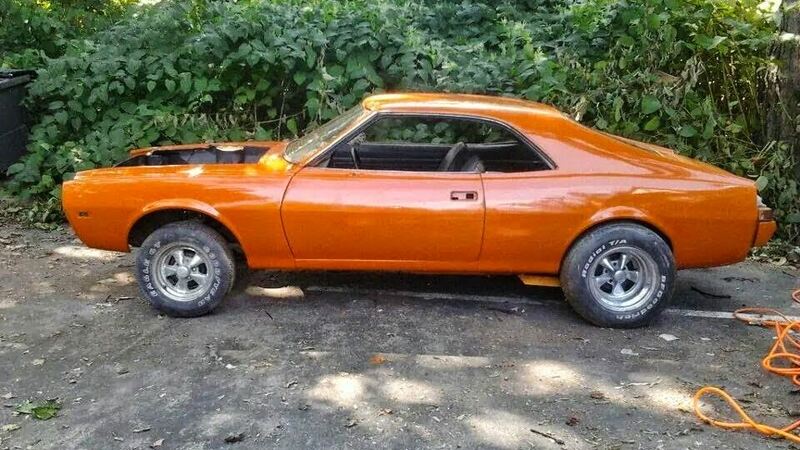 Oct 11, 2008 I traded my 87 Mustang GT and was now the proud owner of the Javelin. Originally a 6cyl automatic, she now has an all Ford drivetrain. The 351 Cleveland that resides in the Javelin once belonged to my uncles who street raced it in a 67 Cougar. I was only 4 or 5 at the time. I never forgot how badass that engine was/is. I was bitten by the horsepower bug early in life, that being responsible for the path I follow now and the love of anything muscle. I never intended on installing a Ford drivetrain, I had my heart set on an Amc 390, T-10 and an Amc 20 rear. But things certainly went this way when i saw how much money it would cost me running all Amc. Its more expensive, in my opinion to properly build an Amc then to restore a common vette!! So I did what any real gearhead/hot rodder would have done. I used what was available to me and built something truly different. 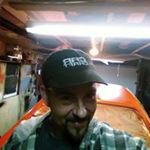 I started out rebuilding the Javelin the day i got her but things didnt get serious till Aug 2014. The Cleveland had been sitting for well over 30 years. Torn apart and in damp conditions, Bad Betty (as i like to call the Cleveland)was almost scrap metal. Three machine shops refused to do the work, instead trying to talk me into an Ls swap. Yea, not gonna happen!!! The block, crank, heads and rods ended up at a local tech school, where the machine work was done. It took some time but It was well worth the wait. The quality was outstanding as was the price. 1/3 the cost of any other retail machine shop!!! When I wasn't building the engine I was stripping, blasting and prepping the body. Because of the serious injuries i sustained in 2000, it was slow going. Still, There was no hacking, cutting or crazy custom parts involved. I used production parts from vintage Mustangs, foxbody mustangs, a stock AMC x-member and did everything on the cheap. Ebay is a Godsend!!!! I don't have the luxury of lifts, special equipment or people to help. Btw, she is called Missdirection because when one looks at what ive built they automatically associate her with an old school build. Because i dont run an efi set up or have a laptop to tune it she must be old and slow right? Lmfao, thats the furthest thing from true!!! !